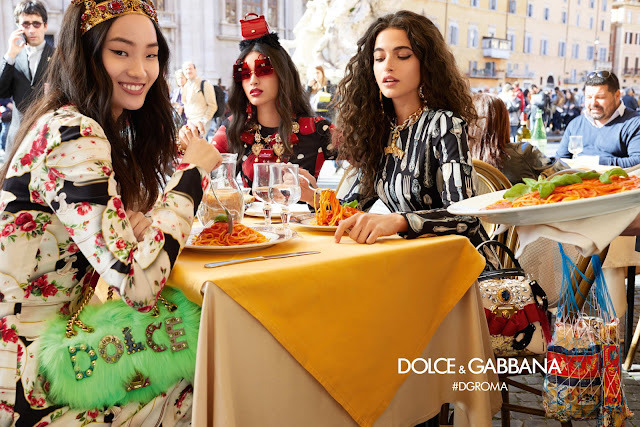 Dolce & Gabbana's Fall 2018 ad campaign is a swirl of color, textures and unique patterns that die hard fashionistas absolutely love. 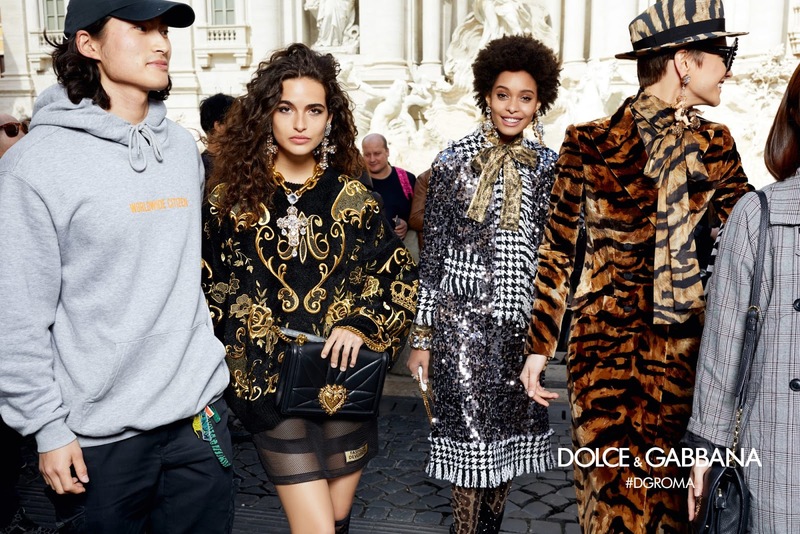 In true D&G style, The Morelli Brothers are selected to photograph the latest campaign in Rome. The womenswear campaign basically features a tour of Rome with models depicted in front of the Trevi fountain or the Colosseum. You can also see them eating pasta or posing in front of a gelato stand. As well as interacting with street performers dressed up as Roman gladiators. Furthermore, there’s a sprinkle of religion thrown in since Rome is the home of the Catholic Church. You’ll see scenarios where the models find themselves in — i.e. sandwiched between two nuns — and in the clothing itself. One top reads "fashion sinner" in sparkly letters, while a dress spells out "fashion devotion." 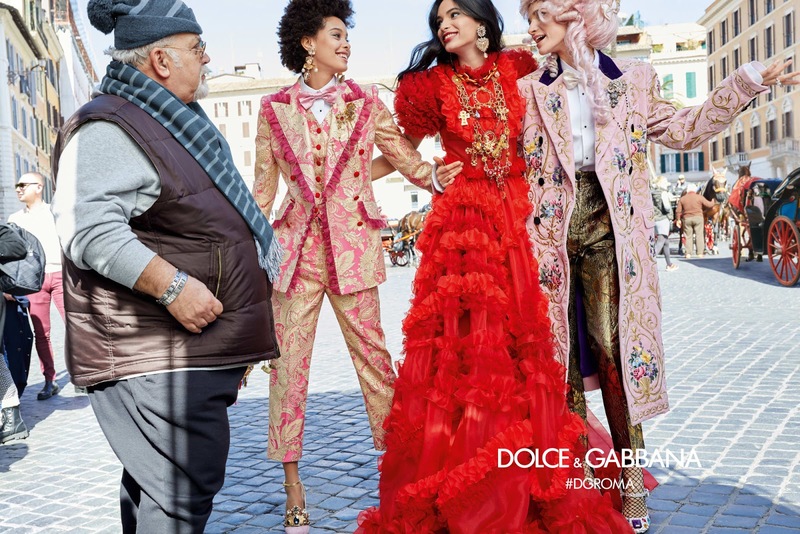 Meanwhile, the menswear campaign has gone with a different, but tried-and-true Dolce & Gabbana tactic: the casting of young celebs and stars from outside the fashion realm, many of whom are the children of celebrities. Once again shot by the Morelli brothers, the menswear portion of the campaign features P Diddy's son Christian Combs, Pierce Brosnan's son Paris Brosnan, Jude Law's son Raff Law, Gary Oldman's son Charlie Oldman, and internet star Cameron Dallas.